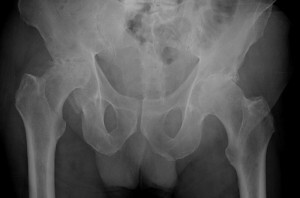 The overwhelming symptom from hip arthritis is pain. The nerve supply to the hip joint is complex, and as a result pain that comes from the hip can be felt in several different sites. Commonly, pain is felt in the groin, but pain can also be experienced down the inside of the leg, into the knee and sometimes down to the ankle. It can also be felt in the buttock, in the top of the thigh, and rarely in the back. 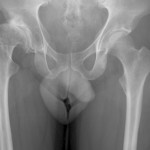 Am I too young to have a hip replacement? Traditional hip replacements consist of a metal ball in a plastic socket (the bearing surfaces). The plastic bearing surface wears out with time; probably related to activity levels. As a consequence, younger patients who are more active and likely to live longer are at greater risk of needing a second, or revision hip replacement. Revision surgery is far more complex and subject to a higher risk of complications. Historically, therefore, hip replacements were rarely performed on patients under the age of 60. Technological advances have produced bearing surfaces which can withstand higher activity levels and will probably last much longer. These more modern bearing surfaces are usually metal-on-metal or ceramic-on-ceramic. 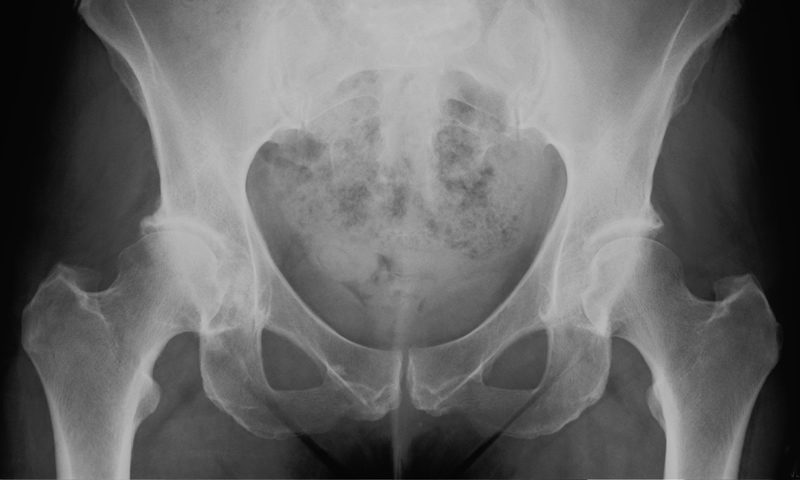 It is now far more common for younger patients to be operated on since most patients with significant pain from an arthritic hip prefer to have quality of life rather than continue in pain. 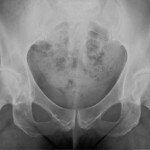 When should you have a hip replacement?